Mr. Sudhanshu Saxena, accompanied his mother Mrs. Savita Saxena, a resident of Chembur to Advanced Eye Hospital on 13th March 2013. Mrs. Saxena subsequently underwent Cataract Surgery under the expert guidance of Cataract Specialist Dr. Vandana Jain. "The entire medical staff and technical staff! Our short-term experience here at AEHI had been really very pleasant and highly accomplishing. The ambience is very soothing and at no point of time, the patient feels as if he has come for any medical intervention. The care extended by the technical and supporting staff is also highly appreciable. 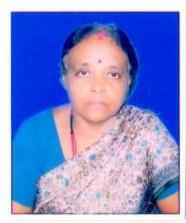 On an individual level, I thank Dr. Vandana Jain for extending her experienced medical support to my mother. I can say: She is in safe hands. Keep it up, and last but not the least "Vision is under safe umbrella"
Hope you all will continue rendering this unconditional support."